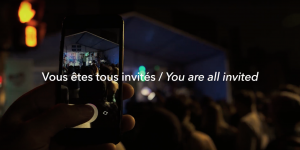 The Business Development Society (SDC)-Les Quartiers du Canal, is proud to present its first touristic campaign for Griffintown, Little Burgundy and Saint-Henri. These neighborhoods, relished by Montreal, opens its doors as a touristic destination to visitors as a must-see in the city. In fact, Les Quartiers du Canal has become increasingly attractive in the last years with the opening of renowned restaurants, design boutiques, art galleries and cultural places, without forgetting the bordering Canal Lachine and all industrial architectural heritage unique in Montreal. 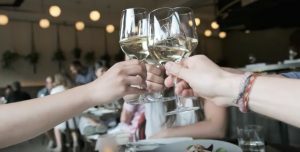 “Our business development society has developed creative communication tools to promote this new culinary, shopping and design destination in Montreal. We then therefore wish to invite the tourists, people from the region and all actors of the tourism industry to come discover another face of this city”, as stated by Jean-Michel Gadoua, President of the SDC – Les Quartiers du Canal. 40 000 touristic guides now available: the first touristic guide les Quartiers du Canal will be distributed in highly visited places of Montréal (touristic kiosks of Tourism Montreal, hotels,..) all along the year. “ The commercial arteries of the city are not only vital economic areas, but also, essential elements for the quality of life in our neighbourhoods, That is why we are very proud to support constructive initiatives such as this promotional campaign of the SDC-Les Quartiers du Canal, that contribute to the visibility of our commercial arteries and to the success of our businesses located in their streets”, Robert Beaudry, responsible for economic and commercial development and government relations at the Executive Committee at the Municipality of Montreal. Street banners: the commercial streets dressed up with images of the destinations. Installed since the end of the month of July 2018, the colorful and varied banners decorate the commercial streets of the three neighborhoods. With the aim of also celebrating summer in an original way, the SDC asked the talented illustrator, Isabelle Cardinale, to create five banners with the themes: culinary, shopping, happiness, nightlife/music. This is a supplementary way to identify, beautify and animated the commercial streets in the summer but also to define the new business and touristic zone. Video: Discover the Quartiers du Canal like you where there! An original idea created by the SDC, a video available on the internet to help viewers experience the neighborhoods before they come to visit them. You will wake up in a hotel with an impeccable view of the city of Montreal and you will then go discover the area on foot and by bike. The program includes cafés, design, antique stores, art galleries, architecture, murals, boutiques and restaurants without forgetting to enjoy cultural events. A real immersion in a part of Montreal few have traveled to. Website: new category for visitors. The website lesquartiersducanal.com has a new section “EXPLORER”, that present the different routes to discover when visiting. The boutiques and workshops, the antique stores, the route for shopping in Griffintown Design District, the must addresses for a night out and to dine, and more than twenty-four architectural heritage sites. 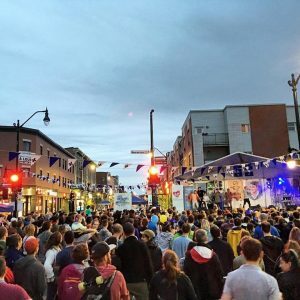 Events : More than 10,000 people came to the heart of Notre-Dame West in Saint-Henri on the 23rd of June for the first commercial fair and to celebrate Saint-Jean Baptiste in the South West. A real success that shows the potential of the area to welcome important events. The Folk Festival at the Canal, for its part, attracted more than 35,000 festival along the canal from the 14th to the 19th of June. Another massive success. The touristic guide benefits from the financial support from Economic Development Services from the City of Montreal, in particular from the funds for “businesses improvement”.